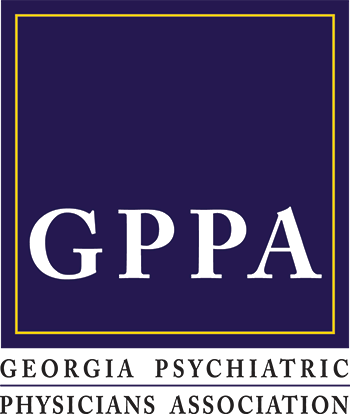 The Georgia Psychiatric Physicians Association, a district branch of The American Psychiatric Association, is a medical specialty organization of approximately 700 psychiatrists working together to ensure humane care and effective treatment for all persons with mental disorders, including developmental disabilities and substance related disorders. Professional education and development for psychiatrists and psychiatric practice team members. Representation in the Georgia General Assembly on behalf of the interests of psychiatrists and their patients. Promotion of high quality psychiatric education and research. Provision of leadership and networking opportunities for members. The Georgia Psychiatric Physicians Association is dedicated to promoting professional values and ethics in the practice of psychiatry, as well as access to the highest quality of medical care through support of education and advocacy for our profession, our patients and their families. The Georgia Psychiatric Physicians Association is proudly managed by Association Strategy Group.